Discussing the rapidly changing digital commercial environment in Sri Lanka, experts pointed out that gaps still exist in the current laws that regulate consumer rights and data protection in mobile and online platforms. Thishya Weragoda, Attorney at Law of the Supreme Court Sri Lanka pointed out that the Consumer Affairs Authority Act of Sri Lanka is not adequate as a dispute resolution mechanism in the current digital era where transactions take place in online trading platforms. He highlighted the need for umbrella organisations that unify traders and consumers of online platforms to resolve commercial disputes internally. He also noted that Sri Lanka lacked a proper and fair mechanism to protect online traders’ rights. 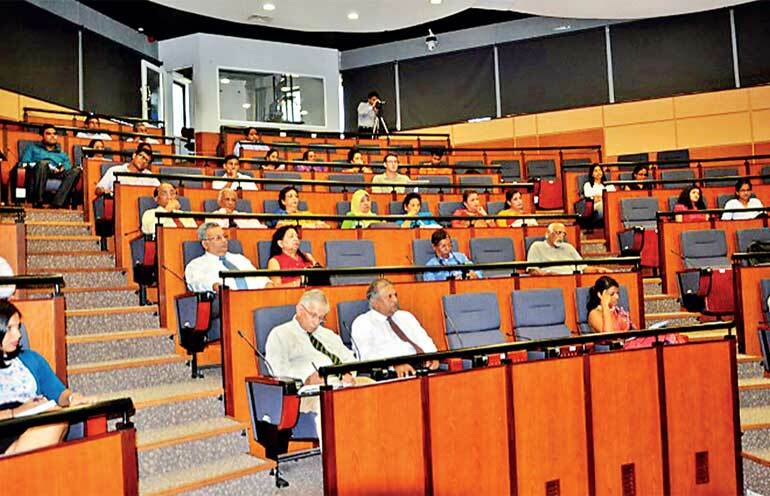 These observations were made at a forum organised by the Institute of Policy Studies of Sri Lanka (IPS) to mark the 34th World Consumer Rights Day on Wednesday (15) at the IPS Auditorium. The forum centred on the theme ‘Consumer Rights in the Digital Age’ and saw the participation of experts in the field, digital consumers, entrepreneurs and stakeholders. IPS Deputy Director Dr. Dushni Weerakoon delivered the welcome address, highlighting the prevalence of e-commerce in Sri Lanka and its benefits and risks, and noting that 30% of the Sri Lankan population is connected to the internet today. The keynote address was delivered by Information and Communication Technology Agency (ICTA) Legal Adviser Jayantha Fernando. His speech focused on the ‘Legal Regime for Consumers in the Digital Age’, especially addressing issues such as gaps in the Electronics Transaction Act No. 19 of 2006, cybercrime and security and data protection in the e-world. Noting that legal measures to protect consumers in the digital age could be strengthened, Fernando highlighted the need for a comprehensive data protection regime with an institutional framework. Meanwhile, speaking from the vendors’ point of view, Takas Ltd. CEO Lahiru Pathmalal highlighted the challenges in serving consumers in the digital age. Lack of trust of consumers in online transactions, cultural and language barriers, and regulatory hurdles were some of the issues that were discussed during his presentation. The other panellists were President’s Counsel, former Chairman of Securities and Exchange Commission (SEC) Dr. Dayanath Jayasuriya, Sri Lanka Housewives Association President Suhaila Hussain, Digital Mobility Solutions Lanka CEO Jiffrey Zulfer, as well as Thishya Weragoda. 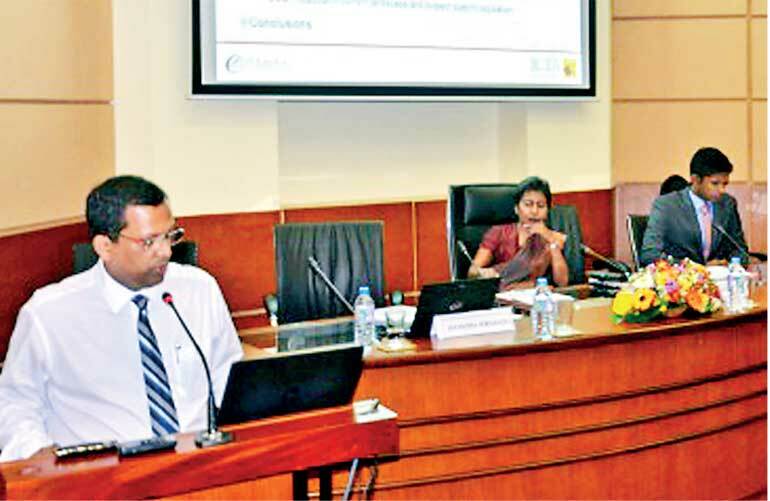 Their presentations highlighted many salient aspects of digital consumerism in Sri Lanka such as the rights of consumers, the rights of traders, the needs of consumers in the e-market, entrepreneurship to expand e-commerce in Sri Lanka and the changing regulatory landscape for consumer protection in the digital era. The panel discussion was chaired by IPS Research Assistant Vishvanathan Subramanian. A lively Q&A session followed the panel discussion.